A Slugwall! * Your eyes don’t deceive you: unlike most of the pixel art I show off here, this is shown at its normal size! Go away, Zero. This is a fantasy world and I’ll make as big a slug as I want. :P Anyway, this giant sea slug can survive in or out of water and often turns up on beaches—so it could be one of the very first enemies you encounter in the game if you head toward the sand and surf! 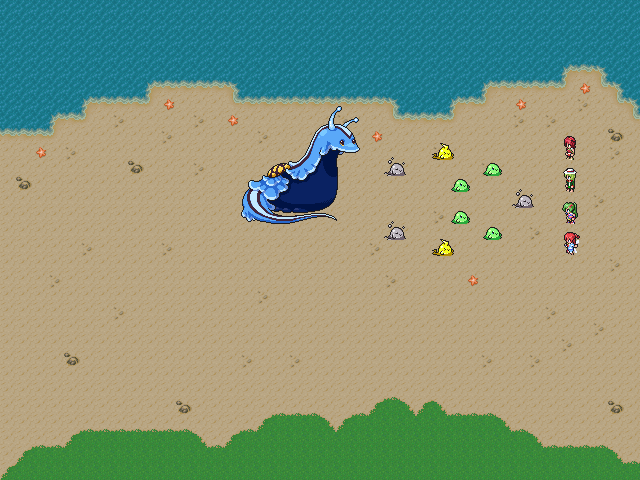 Below is a super-basic mockup of a beach battle screen that I whipped up in like 15 minutes for this post, but let’s look at the size difference between a few of our heroines and a Slugwall—or between a Slugwall and slimes! You can probably guess which of these is the tallest, listed as 6’07” in the Pokédex (though you might be surprised it’s only that tall! ), but just try to guess which one is 1’00”, which one is 2’04”, and which two are 3’03”. The * earlier is there because I’m not sure this creature will continue to be called a Slugwall! It might become a Slugigas, Slugoliath, Sleviathan, or something along those lines. =) The name Slugwall was meant to convey that it would block your way for ages because of its size and shell… until I looked up references of slugs and remembered that they rarely have shells. (The move was always named Half-Shield, though; I never had an image of a slug that could fully retract into a shell.) Whoops! There went that aspect of the design, but it remains a gigantic creature, so the name might change to reflect that. My Mega Man Zero image wasn’t merely an in-joke; one thing the Mega Man franchise did superbly was throw gigantic yet easy enemies at the player early on to build up confidence that the hero could do anything. My favorite example is Mega Man X2‘s intro boss, which is probably three or four screens big and keels over in about as many shots. The Slugwall is made in that vein, an early creature that’s more for show than anything else. How can our protagonists take a hit from such a big creature? How can a slug take a hit from our protagonists? So I’m glad you (I) asked! In the Dreamblazers world, the vast majority of living things—including the heroines—aren’t beings of “flesh and blood,” but beings of flesh and pure energy. They can direct their energy to any area of their body, essentially shifting around their body mass to increase their offensive and defensive capabilities. What does all of that mean? For one thing, even though death is still a looming threat, losing limbs isn’t. If a person has enough energy to protect a targeted part of her body, she’ll shift it there either consciously or unconsciously. If she doesn’t have enough energy, then she’ll lose it all by trying to shield herself and be killed in the process, dissipating into the air without leaving a corpse—like Obi-Wan Kenobi. 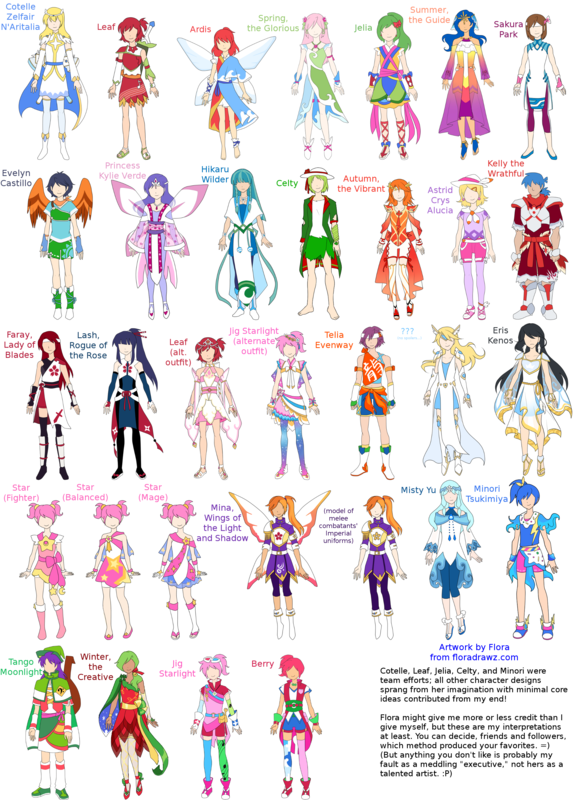 Finally, the flesh-and-energy composition of the characters explains several questions that a person might have about Dreamblazers character designs, like why so few of them wear armor (unnecessary and worn mostly ornamentally) or how Celty can be a globetrotting adventurer with no shoes (worn for style and cleanliness, not protection). 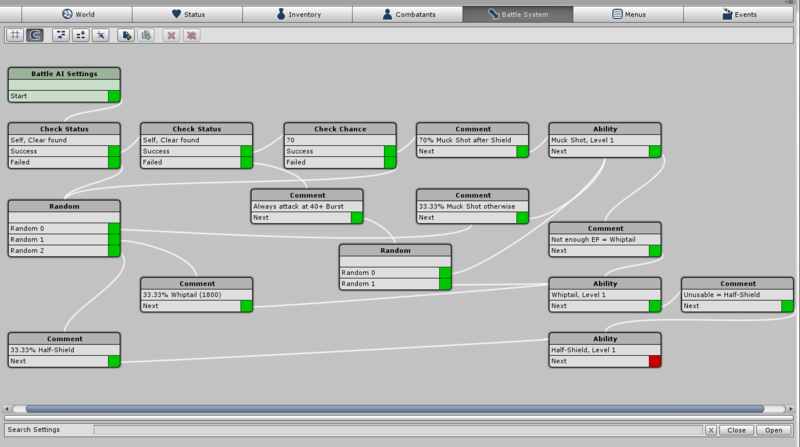 All of this is a natural result of designing Dreamblazers starting with the gameplay instead of starting with the story. Most of my worldbuilding was done with a mindset toward explaining things like how people survive getting hit repeatedly with lightning bolts or why the surface of the planet hasn’t been destroyed by all those fireball-flinging mages. Unusual things can happen with the setting when you do it that way, but I’d much rather have an unusual setting than get people wondering how Superman gets by in his world of cardboard. Oh, and lest anyone think I’m about to pull something out of superhero comics or One Piece where suddenly everyone in the world has superpowers, nope, not at all; Dreamblazers Anomalies are indeed anomalies and extremely rare! The unique abilities of most characters come from their species, like Ardis being a half-sylph or Minori and Misty being respectively plasma and water elementals, or from their own ingenuity, like Evelyn, Jelia, and Star. As intriguing as that might be, I do have to reserve some talking points for future posts, so that concludes things for today! I’m hoping to get up the Team page later this week since I have what I need to write one, but it might not happen since I’ll be hanging out at Disneyland with some family for one or two days before they head back home to Hawaii. I also have catching up to do from last week’s time with them, but no matter what I’ll be back with more next Monday! This entry was posted in Devlogs, Dreamblazers on August 17, 2015 by JellyPaladin.